Dr Liz... the vet from Russell Vale Animal Clinic: The canine vaccination debate - 1 year vs 3 year vs none! The canine vaccination debate - 1 year vs 3 year vs none! Whenever I attend a veterinary meeting that is often sleep inducing, it is a sure fire guarantee that if the topic goes towards vaccinations and how often to do it, the room heats up in the very passionate argument of the fors and the againsts. don't want to vaccinate me"
This is because whilst everyone agrees that vaccinations are the single most important procedure in the life of every pet as it does provide protection against illnesses that are life threatening, and we all agree that vaccinations are not harmless, there is a big debate about how often they should or shouldn't get this very important protection. As a vet, I have seen puppies with severe parvovirus (and die from this debilitating condition despite treatment), and the seizures induced by distemper virus (as this causes ongoing brain damage). My view is always going to be that all pets need to be protected against these diseases. That is core to everything I recommend for all pets. These are the diseases that scare all vets who have seen them, and I remember, only to well, those days. And whilst the incidence of disease has reduced to the point where alot of the younger vets only read about them, they are not gone. If you know anything about diseases, is that they do not stay dormant forever. blood test is what I need to do? Okey dokey!" from time to time. It doesn't mean that we did before was wrong, but different to what we need to do now. As an example - I saw two 3 year old Maltese terriers recently - Bobby and Sarah. Bobby had a mild vaccination reaction, twelve months earlier. Sarah was OK. They only go to the groomers, never go to kennels, and their only walk, is one around the block! What is the right thing for these two? A full check up is definitely on the cards, as both dogs have periodontal disease, which we need to treat, monitor, and re-treat regularly. What actually happened, though, , was that we performed a vaccine titre test in both dogs - and both showed good protection against Distemper, Hepatitis and Parvovirus. And we will repeat that test in twelve months time. Vaccinate both dogs, and give Bobby an injection to reduce his reaction response. Vaccinated Sarah only, and hoped that Bobby was protected. Whilst "hope" and "fingers crossed" may work for some people, they don't work for me. I like to know! And if you were the loving pet owner, you would want to know to. At Russell Vale Animal Clinic, we now are able to offer in-clinic titre testing, using Vaccichek. Technically speaking, it takes 21 minutes for the test to run, but it is a pretty intensive 21 minutes, so we will work on getting the result to the pet owner within 1-2 days. It just requires a blood sample, and with that, we can determine whether the pet will benefit from a vaccination or not. The reality is, if a pet's immune system is already at it's peak for protection, then adding further stimulation is not going to make things better. But vaccinating an already vaccinated pet is not going to make them sick either, unless they already have had a history of vaccine reactions. I don't buy into the argument that vaccines make our pets sick. They may affect some animals differently to others, but they don't cause cancers, nor do they cause immune mediated diseases. Not vaccinating a pet, though, is a sure fire guarantee that if they have no immunity to parvovirus, and they are exposed to it, they will get very very sick, and possibly die. You may not know of these things going through my head, but I assure you, they are. And at the end of it, your pet will either walk out of the consultation room vaccinated, or a recommendation will be made to not vaccinate. If a recommendation is made against vaccination, it is because that is the right thing to do for that patient, which may not be the right thing to do for the next patient that walks into the consultation room. As I said before, it is not a "one size fits all" protocol, but what is the best thing for that patient in the room with me, at that time. at the local Dog Park"
Now what about "Canine cough" ? 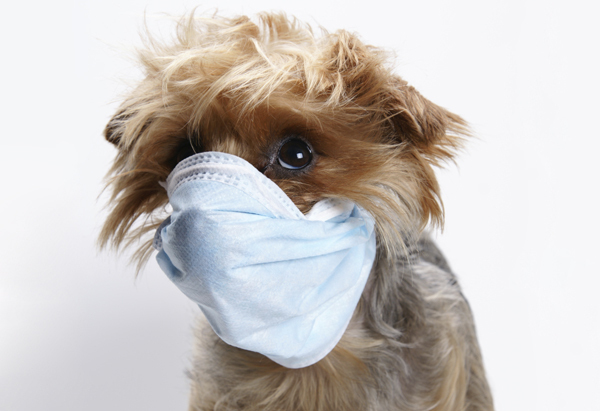 Well, this is a nasty cough which is highly infectious, but it doesn't kill dogs (or rarely). We do see a few cases of Canine Cough, but most of these were in dogs vaccinated against it. It didn't last long ( a few days), thanks to the protection the vaccine provided. 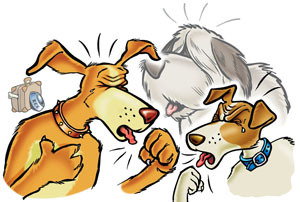 Those dogs who are in a high risk group, such as grooming, kennels, beach, dog park or mix with other dogs on a regular basis, do need to have the annual vaccination for kennel cough. There is no titre test for this, and vaccination (or isolation) is the best protection. As an aside, we were also the first veterinary hospital in the Illawarra to offer three year vaccinations, when they became available. If you want to know more about this debate, go to our website. If you have any questions or concerns, or sensible comments, feel free to comment, so long as it is fair. I respect other people's opinions, and expect the same in return. 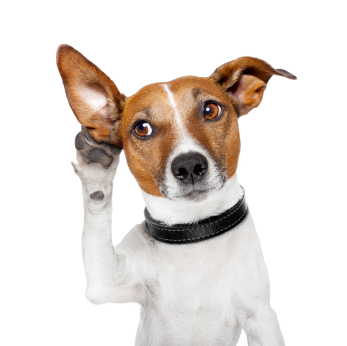 Please call us to book your pet in for their check up, and their vaccination or Titre Test (depending).